Novi Slankamen is the third most populated settlement in the municipality of Indjija. The village has about 3500 inhabitants, mostly Serbs (76%), and Croats (22%) and a small number of Roma, Hungarians, Slovaks and Germans. Novi Slankamen is located on the loess plateau at an altitude of 139 m, 15 km east of Indjija. The settlement was founded in 1783. to strengthen the Military Frontier. The first inhabitants were Croats from Dalmatia and Lika, and then it was settled by Germans and Slovaks. 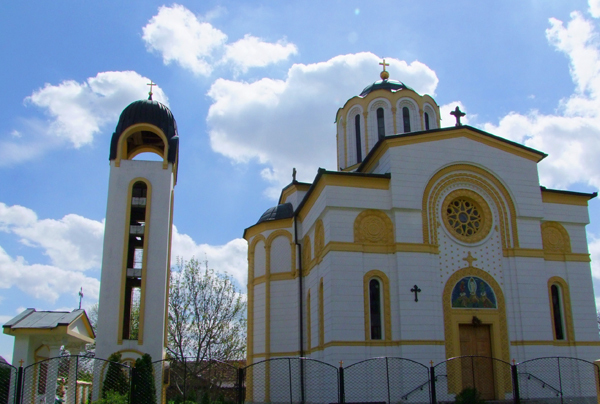 In the village there are two churches - Serbian Orthodox Church of the St. Preobrazenja and the Roman Catholic Church of St. Michael the Archangel. The Orthodox church is built in the style of the Moravian architecture designed by engineer Gojak Damjanovic it dates from 1909/1910 during the period of revival of old styles - in this case Serbian medieval Moravian style. The Roman Catholic Church was built in 1862. It was declared monument in 1977. year and in 1991. categorized as a cultural heritage of great importance. In Novi Slankamen there are two cultural associations - Croatian Cultural and Educational Society "Stjepan Radic," and CAS "Djordje Natosevic." The manifestation "Days of peaches" takes place every August in Novi Slankamen.